Starring: Dwayne Johnson (The Scorpion King), Ian McShane (Pirates of the Caribbean: On Stranger Tides), Rufus Sewell (Dark City) and more. Directed by: Brett Ratner (Rush Hour). Rating: R for violence, language, suggestive material. In contrast of the other single name-titled new release of the week (Lucy), Hercules has a final act that is both exciting and action-packed. However, having to wait to get to that final act can be a tad tedious in this latest sword-and-sandal adventure. The legend of Hercules is told once again on the big screen in a way that is much more satisfying than recent attempts at least. 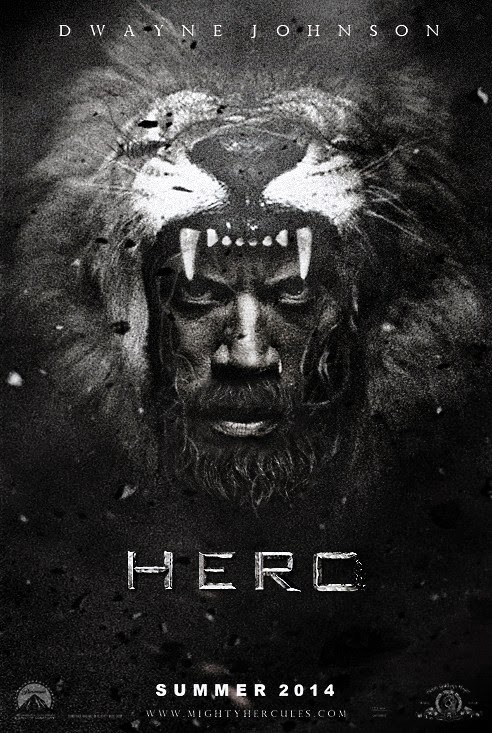 One thing is for sure: the casting in this film is spot on as Johnson embodies what one would expect and want from the warrior of legend known as Hercules. Reminiscent of the movie of another legend (King Arthur), Hercules features the mighty warrior and his band of faithful fighters that employ themselves out for gold. This team makes for the majority of the action and comic relief in the film and satisfactorily play the stereotypical supporting parts (Ian McShane being at the top of the list of them). 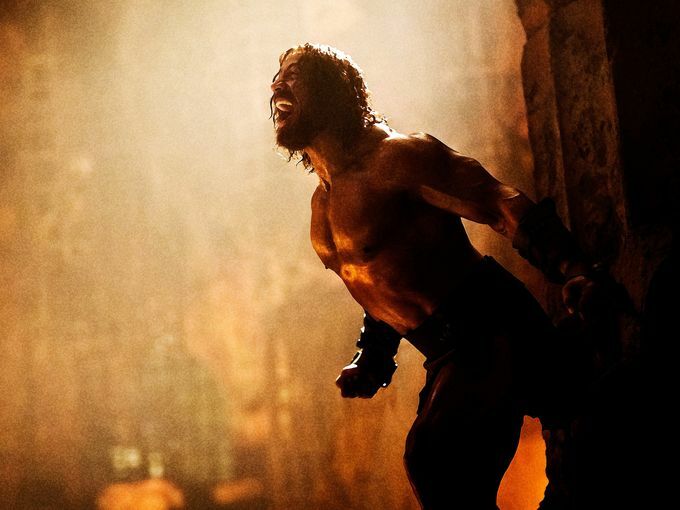 Based on the graphic novel Hercules: The Thracian Wars, the film blends both drama and danger together as the man, myth and legend battles demons without and within. Not entirely unpredictable, the story moves along but not without getting stuck at times making certain cliche aspects of the film seemingly drag, but it is not an unenjoyable experience sitting through the first two acts waiting for the climatic final act with the type of action expected from a movie of this sort. There isn’t anything really bad about Hercules, there just isn’t anything really great about it either. Had Dwayne Johnson not been in the role, I feel the film would have been lost and forgotten until it came out to rent and you might shrug your shoulders and pick it up off the shelves out of interest and boredom of the other offerings at your local movie rental place. It’s one of those. The bearded demi-god faces innumerable foes as the legend, believed upon by most, must be believed in by he himself. 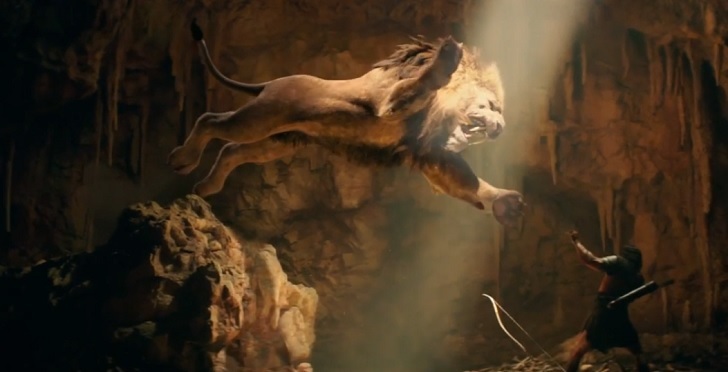 As stated before, Hercules is at least decent in every way (acting, action, cinematography, the wardrobe, the characters)…and that’s probably the best I can say about it. And those expecting/hoping to see a lot of supermodel Irina Shayk in her film debut…well…don’t. Check it out, (know that most of it is shown in the previews) enjoy it with friends, see the action on the big screen, marvel and question how The Rock gets bigger and bigger with every new role, enjoy the final act and then…you’ll probably forget it…not because it’s bad, it’s just not…legendary! Next “It’s Time to Vote Tuesday” 174! 3 out of 5…that’s good enough for me. It will be released here next week, but currently there are a couple of other movies I’d rather watch first before checking this one out (Boyhood and the new Apes movie)….haven’t been to the cinema in a while…. Ooh I can’t wait to read your thoughts, my friend. Don’t worry, I’m behind too though. I still need to see Boyhood myself. It’s a hard movie to take serious and because of that, I had some fun with it. Good review T.
It’s true man. and I was able to laugh. It was the final act I enjoyed most. Thank you for stopping in, Dan!